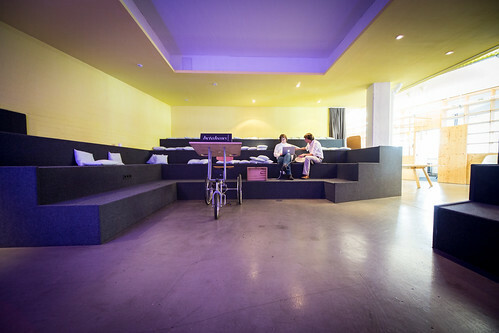 Disclosure & Image Rights: This article was created as part of a research for ZEIT ONLINE.Images of Betahaus. Picture location: Prinzessinnenstraße 19, 10969 Berlin, Germany. 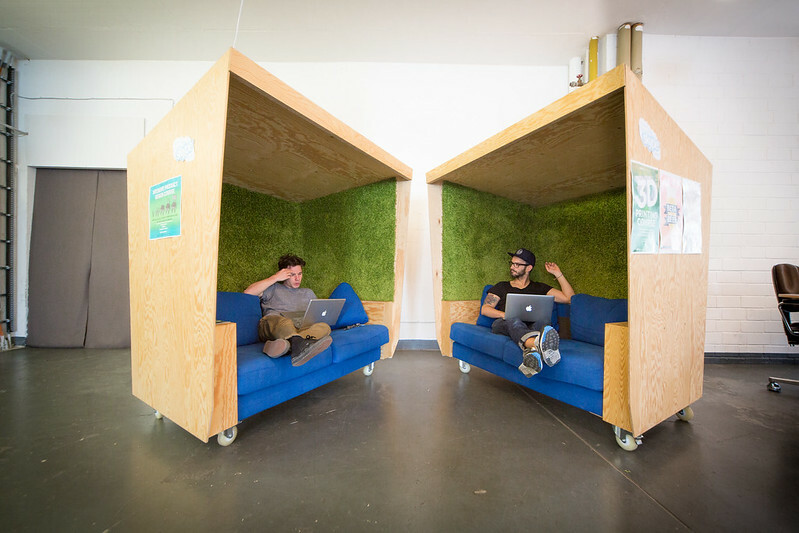 For ZEIT ONLINE I tested different coworking jobs last month. One of them was the well-known Betahaus in Berlin-Kreuzberg, in the princess street 19-20 (quasi on Moritzplatz). 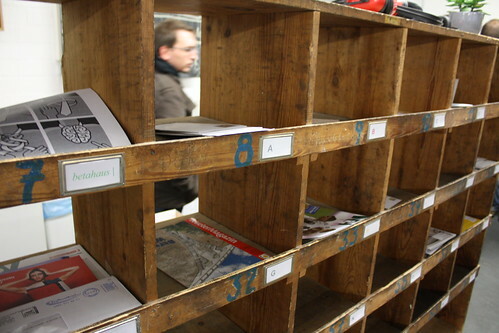 Time for a more detailed text on work atmosphere and workability - and of course some pictures. Conclusion: To work efficiently unsuitable! The suggestion of commentator Nachtauge12 on the article of ZEIT ONLINE I like to record: He wanted more pictures. And I'll send you another text. 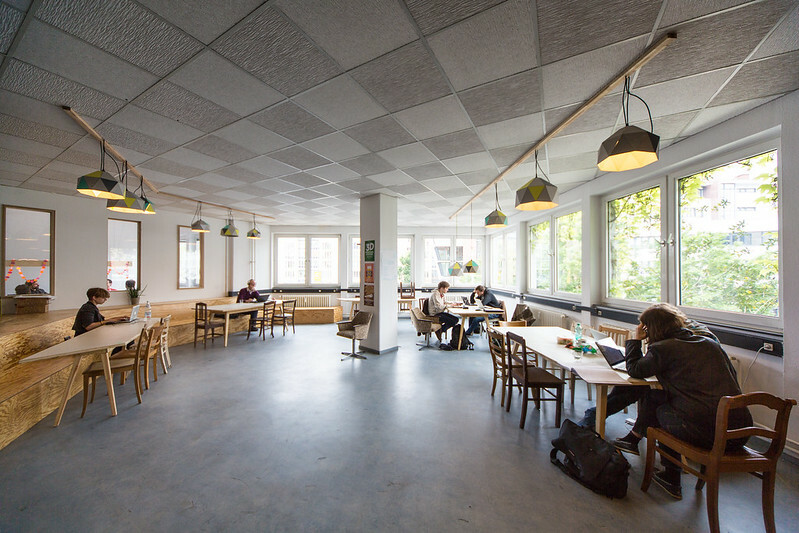 This time to the Betahaus, the first of the three co-working places I've tested. The first impression is consistently positive: many nice, young people, friendly staff, smart design: white, simple, hip, but not obtrusive. A nice cafe with a pleasant atmosphere invites you to linger. Funny is the old unloaded load lift, to get up to the third floor. Also the atmosphere in the big ones workrooms Halls are pleasant: quiet, friendly, bright. Not all tables are long occupied. What I find positive: It dominate clear, bright colors, white, earthy and pastel shades. Nevertheless, the rooms are not cold, but cozy, which is probably due to the lovingly chosen accessories such as curtains and lamps. However, I personally find the jobs too bald: I think of my paperwork in the office and missing storage space directly at the desk Apparently here mainly people who have to do with Internet and do not need printed material for research. With me is unfortunately different. Equipped with a desk, Internet and printer, where everyone can freely print, but should not overdo it - the so-called fairuse principle. However, if, as I had imagined, only passing by on a daily basis, apart from a chair and a desk, which I have to leave in the evening, I have no rights and no cupboard or shelf. I also have to go to office hours. After all: My "rights" depend on which tariff I choose. Between 12 Euro a day to 229 Euro a month costs a job here. If I want to come every now and then, but more often, I can buy an 12er card in the Flex rate: So I can then come to 12 days of my choice, when I want, but get an office key and a cabinet. I can only leave my things if I take a firm table. This is what some have here who have partly built their complete computer equipment - there are locks to secure it. For valuables you can also rent a locker - which does not really convince me in terms of safety. Allegedly, nothing has gotten away yet. However: not the whole day! And that's exactly my problem, because as a journalist, I phone quite a bit for research purposes (though not as much as the online marketeer, who now has to clear her field for a variety of complaints ...). The missing phone is my no-go criterion. And the ergonomics is one thing: Even if the office looks so stylish - with my 1,80 m size, I rely on individually adjustable tables and chairs. However, the chairs are the simplest wooden chairs that seem anything but comfortable to sit in for a long time. My personal conclusion to the Betahaus: The basic idea of ​​being able to work flexibly with different people from different industries and to exchange ideas creatively is really good. As a longtime freelancer I know the problem, which, if one works a lot alone, sometimes even the blanket on the head. Nevertheless: I can not work efficiently here. Although it is quieter than I would have expected, but I lack essential points we ergonomics and telephone. 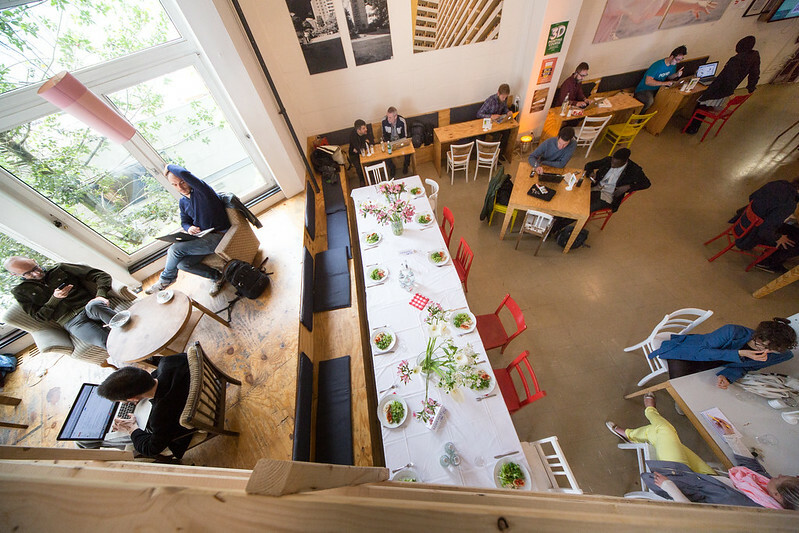 On the other hand, if I wanted to meet other people, I'd rather work in the cafe, which even has its own cook: since the WLAN is free and the networking effect also there. However, I have already been warned: The cafe is kept deliberately loud - people should just work to rent office space!